Is there any better flavor combination than that of figs and goat cheese? 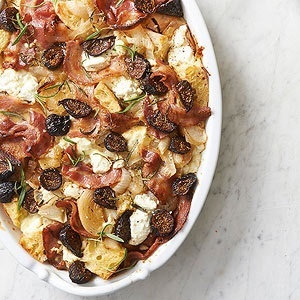 Seriously – I love figs stuffed with goat cheese, salads with figs and goat cheese, pizzas with figs and goat cheese – I mean really anything with figs and goat cheese. Now I found the perfect recipe for the perfect brunch: this recipe for Fig, Pancetta, and Goat Cheese Brunch Casserole I found from Better Homes and Gardens magazine. Find this and all the other recipes and great tips from Better Homes and Gardens here. 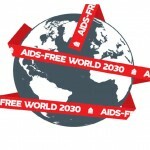 With so many people in need across the world it is hard to decide where to channel resources. By supporting The International Rescue Committee, you can help some of most in need all at once. 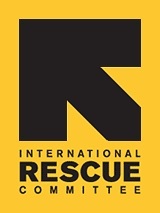 Learn more about The International Rescue Committee here. 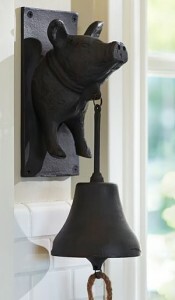 I am really digging the Vintage Blacksmith Wall-Mount Pig Dinner Bell I found from the good folks at Pottery Barn. Yes, Pottery Barn. Find the Vintage Blacksmith Wall-Mount Pig Dinner Bell from Pottery Barn here. See all the latest from Pottery Barn here. 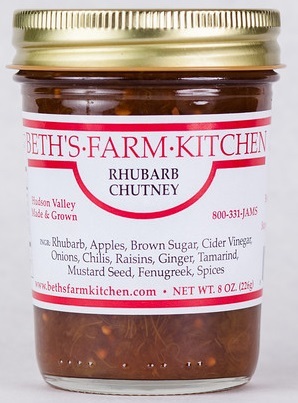 Meanwhile, I am also digging the great Rhubarb Chutney I found from the fine folks at Beth Farm Kitchen. 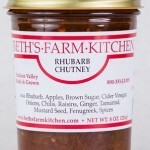 Find the Rhubarb Chutney from Beth Farm Kitchen here. 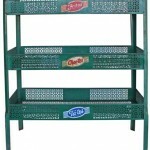 Check out all the great products from Beth Farm Kitchen here. If you are looking for a good pair of cowboy boots – and related items – you have to check out the fine folks at Larry’s Boots, where you can pick up a pair of Ariat Crossfire Square Toe Cowboy Boots. 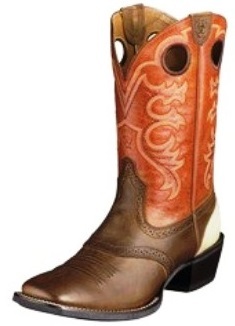 Check out Larry’s Boots here. 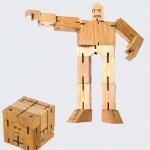 I have just discovered the Los Angeles-based retailers and exhibitioners better known as Giant Robert and I am wondering why it took me so long. The legacy of a 90’s Asian American pop culture magazine, the fine folks at Giant Robert operate a store and a gallery featuring products and art from around the world. Lucky for us Julien, the glass buttons and many of Giant Robot other fine items can be found on their online store. 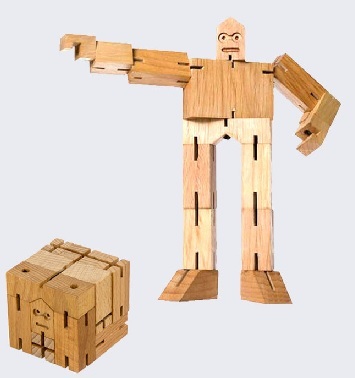 The Giant Robot Store is located at 2015 Sawtelle Blvd in the great city of Los Angeles, CA. 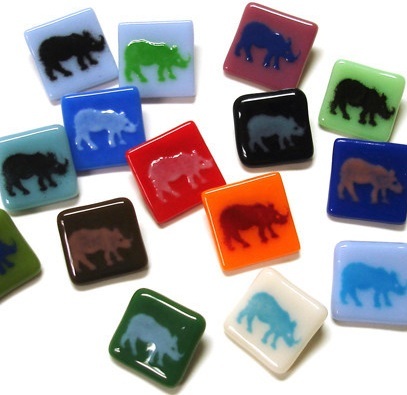 The GR2 Gallery is located at 2062 Sawtelle Blvd in Los Angeles. The recent film Mortdecai, a star vehicle for Johnny Depp, was a critical and box office flop. I saw it and it was truly horrible, which is sad, because the books it was based on, The Mortdecai Trilogy by Kyril Bonfiglioli, are fantastic. 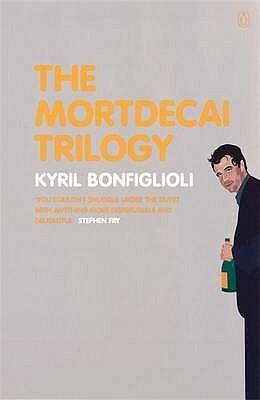 If the film’s failure had any positive impact, it may be that some people have been drawn to read the late midcentury trilogy of Mortdecai books and discover for themselves how great they are. Part James Bond, part Pink Panther, the Mortdecai novels are great fun and deserve to be revived. The Mortdecai books are truly entertaining, and now the trilogy have been put together in one volume which is a perfect addition to your library or nightstand as these stories and characters stand the test of time. The Mortdecai Trilogy by Kyril Bonfiglioli is available from Amazon and other fine book retailers. I mentioned a couple of weeks ago that I was working on my container garden. Well, over the long holiday weekend, I finally transferred my little seedlings into containers and moved them outside. I started with the containers. I looked around and decided that why spend money on expensive decorative containers when I could get some perfectly fine containers at Dollar Tree for a dollar each? 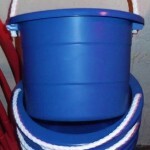 I found these great Multipurpose Rope Handle 2.5 gallon Buckets (above right) and bought eight of them. 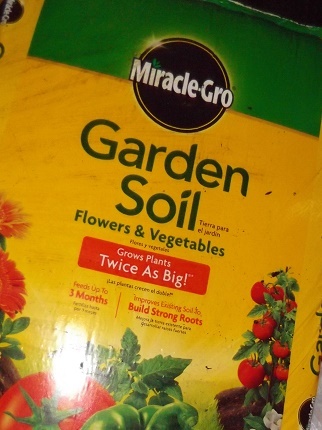 Next, I bought several bags of Miracle-Gro Flower and Vegetable Garden Soil (right) from Lowes. I filled the buckets with the soil and then transferred my little seedlings into the soil. My mix of plants this year includes: a few varieties of tomatoes, cucumbers, zucchini, peppers, basil and peppermint. 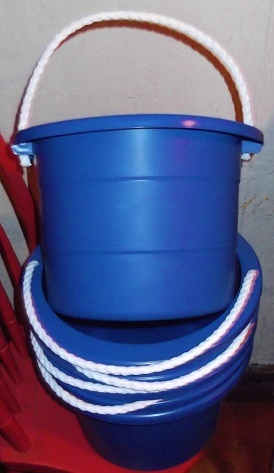 When I realized that I had more plants than buckets, I high-tailed it back to Dollar Tree and bought ten Red Plastic Buckets with Handles which I filled with the soil and my remaining plants. 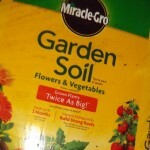 In addition to my vegetable plants, I also filled several containers with some lovely annuals to add some to my garden. Now I just need to make sure the plants received enough sun and water and try to protect them from become lunch for all the rabbits that enjoy dining in my yard. So, today’s find, the fine folks at Rejuvenation, is the perfect Lost Cowboy find. 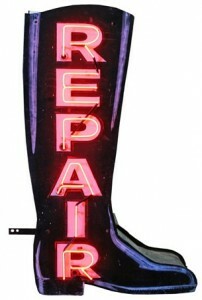 Like us (the fine folks at Lost Cowboy) Rejuvenation is also crazy about vintage finds and preservation and restoration. 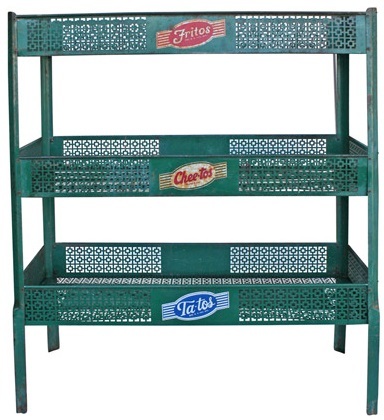 The have a great inventory of fine restore antiques and vintage items and we love them all. Learn more about Rejuvenation and see what they have to offer here. It has been about 18 months since my epic road trip to Kentucky and I am itching to make my way back there. 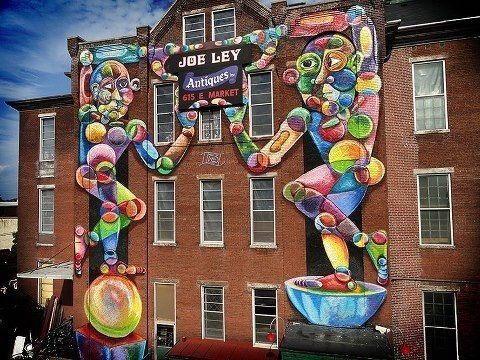 Everywhere I turn I find something new I want to check out on my next trip – like today’s find: Joe Ley Antiques of Louisville. This sounds like the perfect place for me! 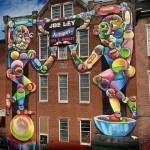 Joe Ley Antiques is located at 615 East Market Street in the great American city of Louisville Kentucky. 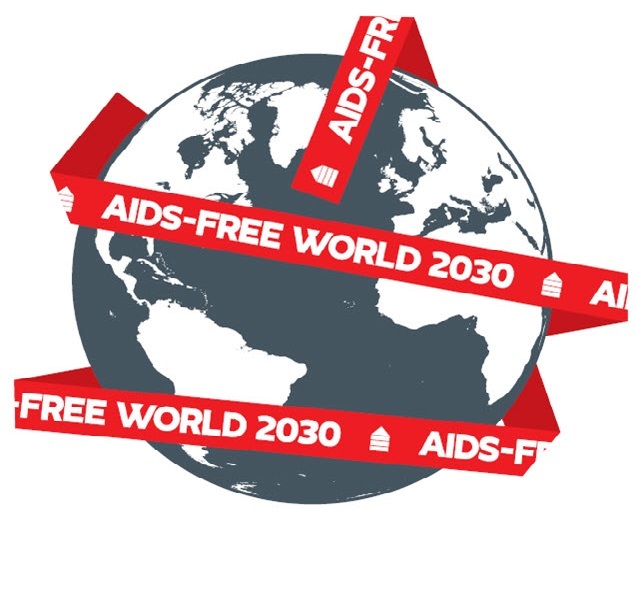 The AIDS crisis may not be in the headlines these days, but it is still very real and there are many people affected by the disease that are also facing homelessness. The fine folks at Housing Works are trying to help with both challenges. Learn more about Housing Works and how you can help here. Lost Cowboy is powered by	WordPress 5.0.4 and delivered to you in 0.931 seconds using 58 queries.